The kids and I have been loving our garden and all the little creatures that we are meeting while we are out gardening. It has resulted in a number of interesting conversations about animals and we have started playing a game where I describe what the creature is doing and they look for the little creature. This has proven to be such a big hit that I thought I would take it one step further and make some cards focusing on animals that you could find in a British garden ( I am sure my list of animals is no where near complete but it is a start). The cards have 3 parts for each animal. A picture, their name and a description of the animal. We lay the cards out (the pictures and the words) and I read the description and the kids look for the matching picture and then Pink looks for the correct word. Both kids have really enjoyed this. And I have noticed that the cards where used earlier today when the spotted a bird in the garden and they where not sure what the bird was. It was a blackbird. 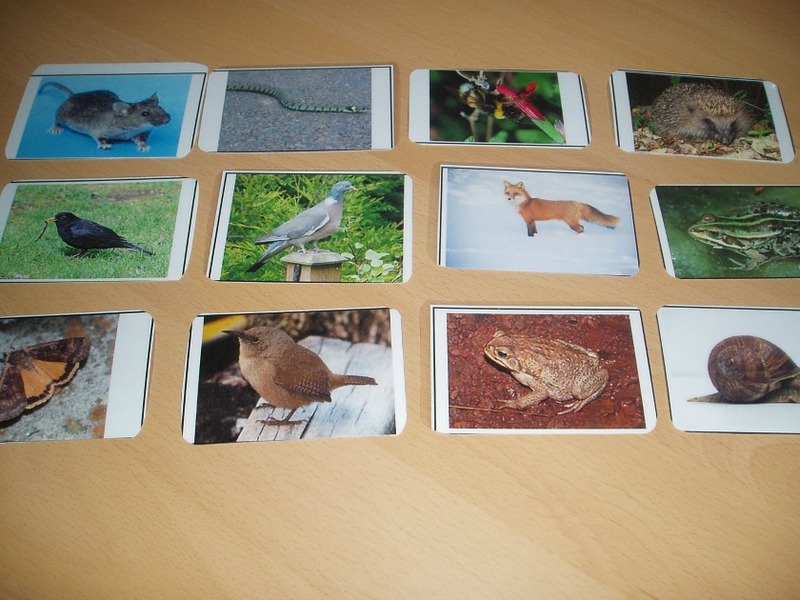 I made these cards using photos which I was able to download for free so not all the photos are the exact same size but my kids do not notice that ( I also tried to choose a picture of a snake that was not scarey). I am attaching the cards below for anyone who would like to use them. 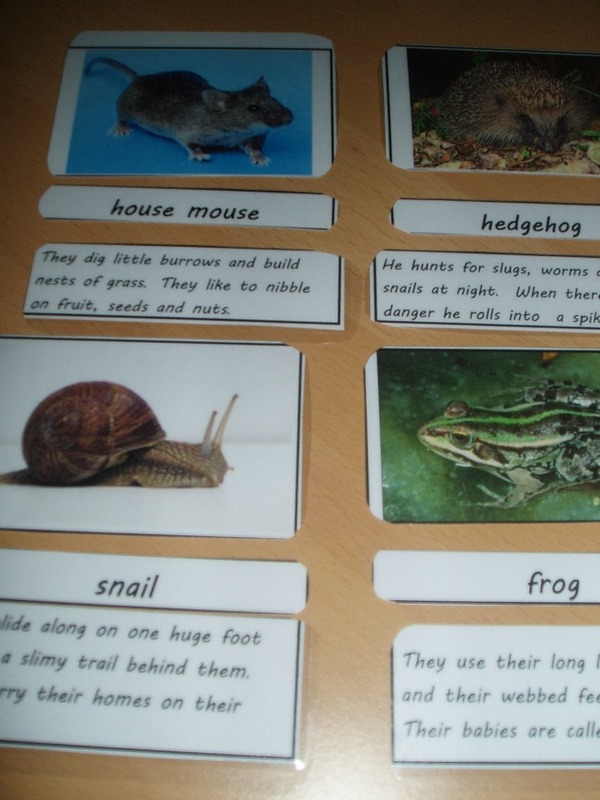 This entry was posted in free printable / worksheet, Homeschooling, Science Ideas and tagged British wildlife cards, free printables, home ed, homeschooling, science. Bookmark the permalink. Lovely idea – I love that our kids have the time to stop and appreciate nature, mine get very excited when they spot our ‘Mr & Mrs’ blackbird who are regulars in our garden, or the little squirrel who visits too. I’m sure they wouldn’t have the time to do this if they were in school! Thank you for sharing the cards with everyone – very useful. I’m a big fan of teaching children about nature and the world around them. 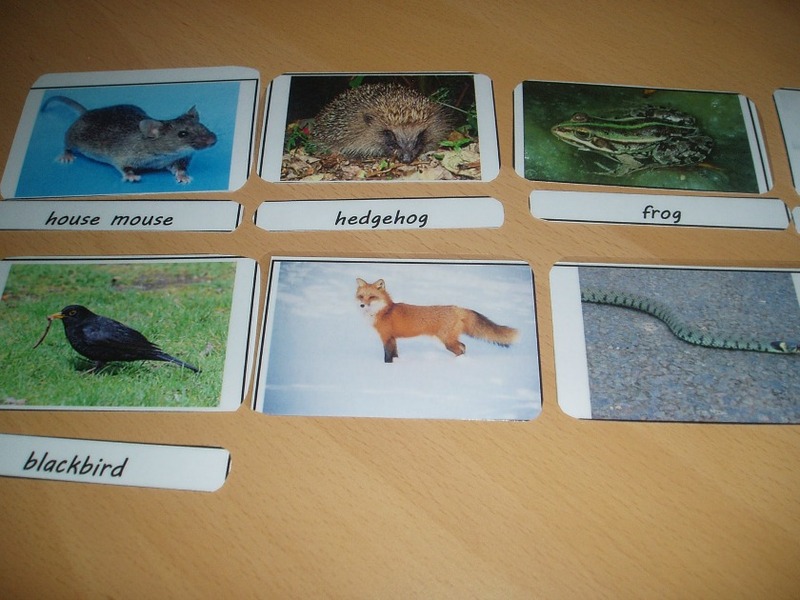 We use the nature detectives website frequently which has some lovely resources. I love this idea! Thanks for sharing the cards with us too.